Just like Fleetwood Windows, Fleetwood Doors are made from quality components for a long and reliable life. These beautiful glass doors will make your home feel larger and more open. Fleetwood Doors are well tested and come with an array of standard features and custom sizes. 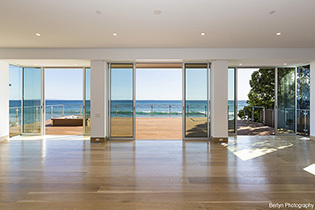 Learn more about Fleetwood Windows and Doors here. If you have any questions about Fleetwood Doors check out our showroom to talk with our friendly sales team, or give us a call. Looking for a entry doors with glass? Keep bad things out and let light in. Fleetwood entry doors are both aesthetically pleasing and durable. Another big plus of Fleetwood is their dedication to energy efficiency, save the environment and money on your energy bill! Imagine having your patio door being a huge wall of glass that can easily be opened to let fresh air in. Fleetwood is well known for their multi-slide and pocket door systems that you can use for your home patio. Have a variety of ways to transform your ordinary patio sliding door into a fabulous statement of sophistication. Let’s highlight a couple of these popular series. One of the more popular series by Fleetwood we well is the Series 3070-T Thermal Frame Multi-slide & Pocket Door System. You can also install this Fleetwood door system to create a seamless transition between your indoor and outdoor living spaces. There are many great characteristics when it comes to Fleetwood’s innovatively designed products like the 3070 Series. There’s a reason why we get so many referrals for home door installation, because we are trusted experts who have a proven track record. Not only are we trusted window installers, our team will minimize the impact to your busy life and to your Los Angeles home during the door replacement process.